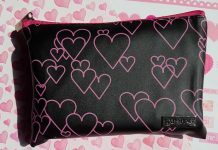 Home FabBag Fab Bag March 2017 Review – Go Get It Girl! 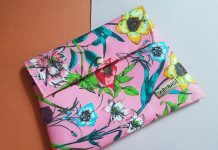 Fab Bag March 2017 Review – Go Get It Girl! 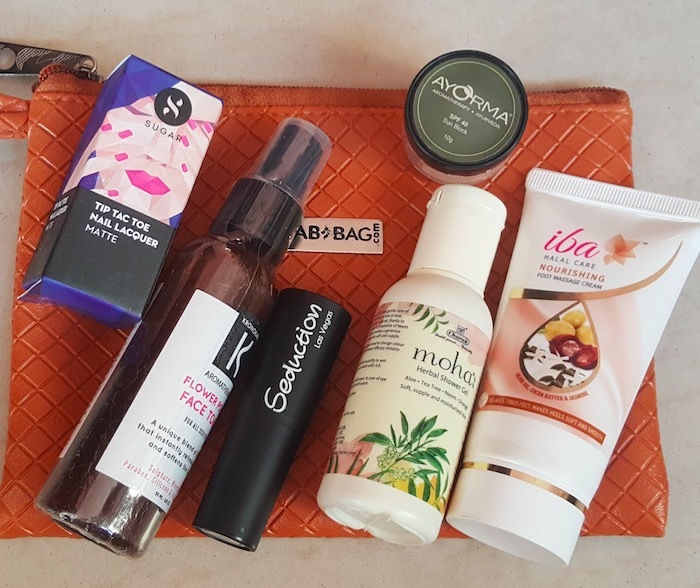 Hey everyone, today I’m going to review the March Fab Bag 2017 that I’ve received a few days back. This month all the products came inside a pretty mustard color pouch. I guess there are 3-4 different color options available and you can receive pouch in any color. This month’s theme was Go Get It Girl! and they’ve sent 6 products including newly launched SUGAR Tip Tac Toe nail paint. 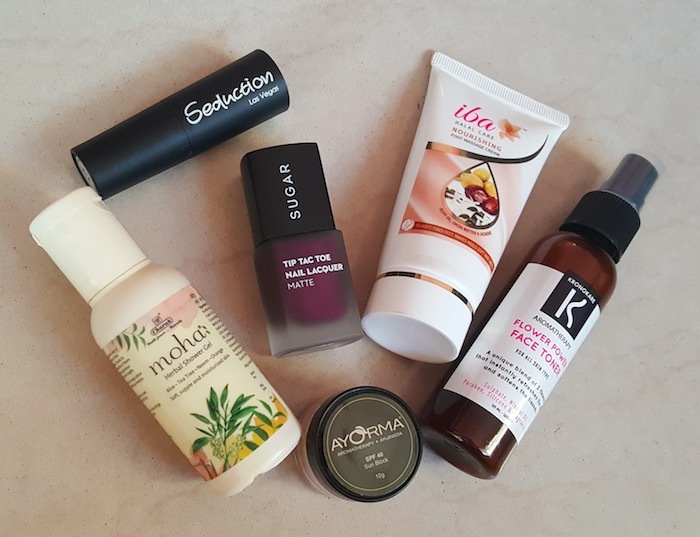 So, let’s see all the products that I’ve received in my March Fab Bag. 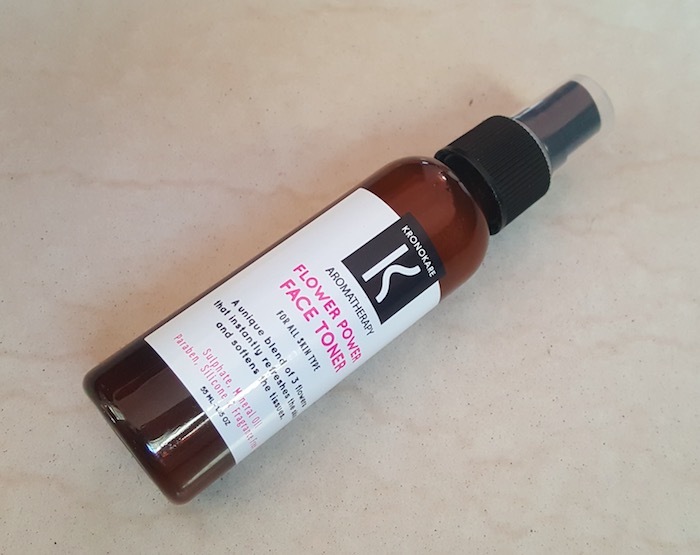 Kronokare Flower Power Face Toner: It is infused with the unique blend of three amazing flowers that instantly refreshes and softens the tired skin. Additionally, it is free of sulphate, mineral oil, parabens, silicone and artificial fragrance. I got the 55ml bottle which is good enough for up to 30 usages. Price – Rs.295 for 100ml. 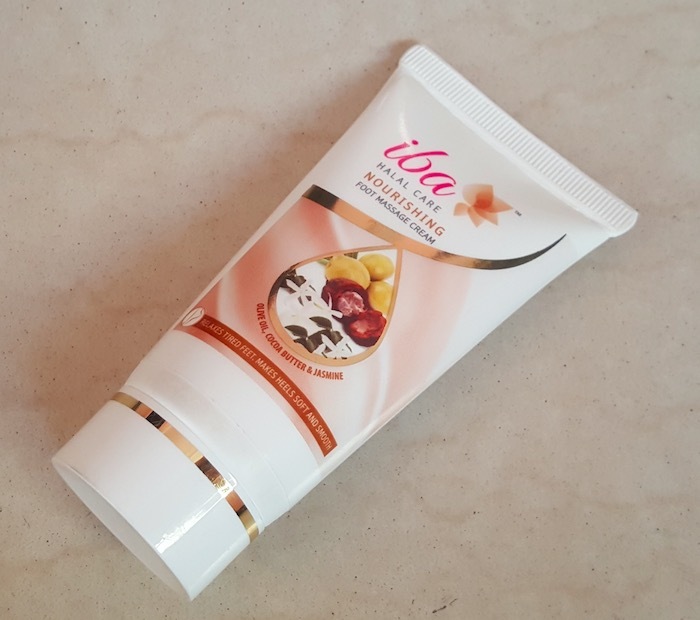 Iba Halal Care Nourishing Foot Massage Cream: This sulphate and parabens free foot cream comes in an easy to use tube packaging. It is enriched with olive oil, cocoa butter, and jasmine that help relax and soothe tired feet. I got a 50g tube which will easily last for a month. Price – Rs.95 for 50g. 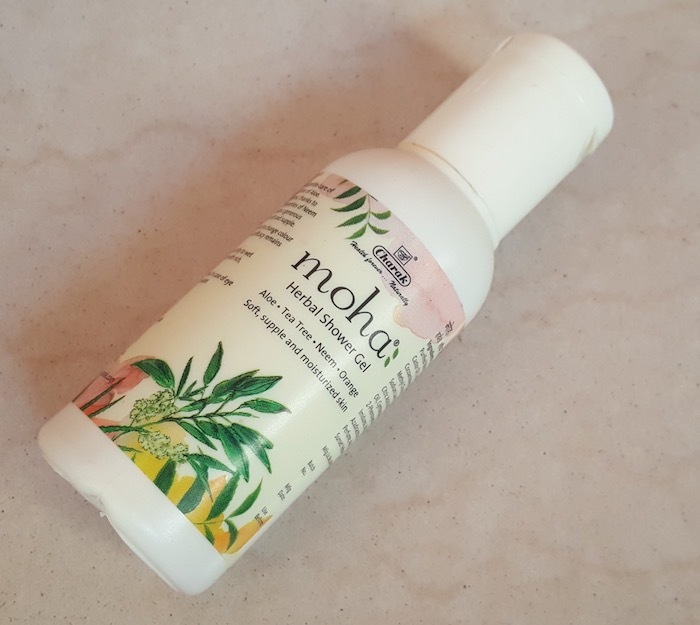 Moha Herbal Shower Gel: Next product that I received is the 30ml sample of this herbal shower gel from an Indian beauty brand “Moha”. Enriched with the goodness of neem, tea tree, aloe vera and orange, it leaves the skin soft, supple and moisturized throughout the day. Price – Rs.105 for 100ml. 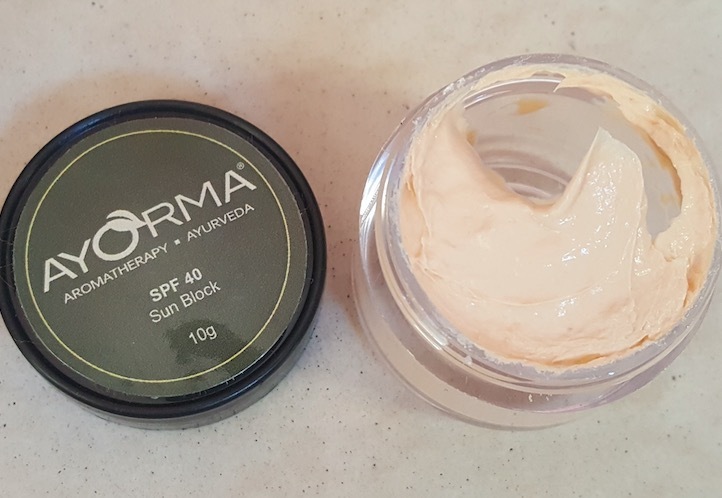 Ayorma Sun Block SPF 40: It is enriched with Turmeric Oil, French Lavender Oil and Geranium Oil. It soothes and moisturizes the skin and treats sunburns and reduces melanin production. It has a slightly thick consistency and has strong essential oil scent to it. The bag contained the 10g jar that will last for up to 10 usages. Price – Rs.349 for 50ml. 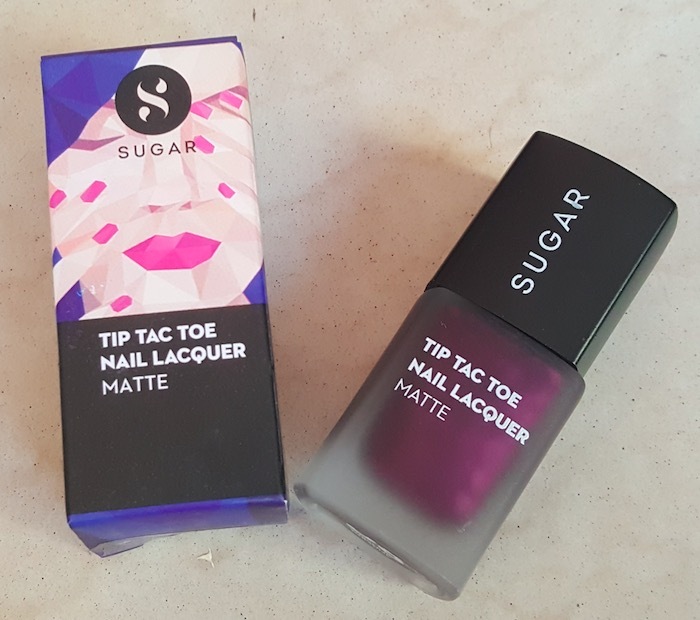 SUGAR Tip Tac Toe Nail Lacquer Matte: This is a newly launched product by SUGAR Cosmetics and I received the matte variant in the shade Purple in Paradise. As the name suggests it is a pretty purple shade and contains tiny shimmer particles. It applies easily without streaking and dries pretty fast. 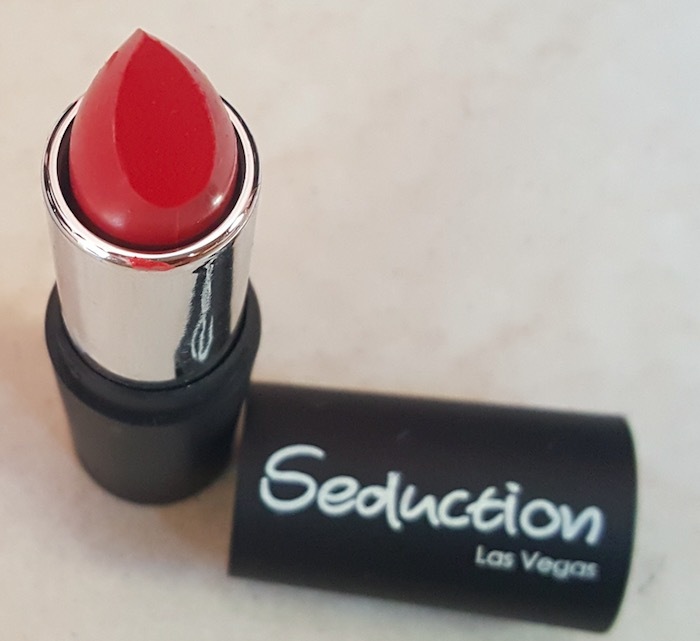 It sets into complete matte finish and stays on nails for a good amount of time. Price – Rs.249 for 10ml. Along with all the products the March Fab Bag contains two cards, one includes product information and the monthly contest rules are mentioned on the other one. The price of the Fab Bag is Rs.599/month, Rs.1,599 (3 months), Rs.2,899 (6 months) and Rs.4,999 (1 year). 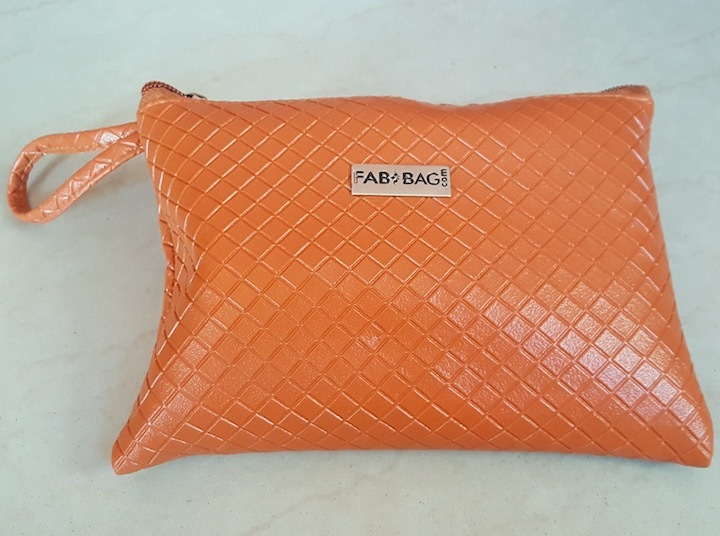 Click here to book your FabBag. 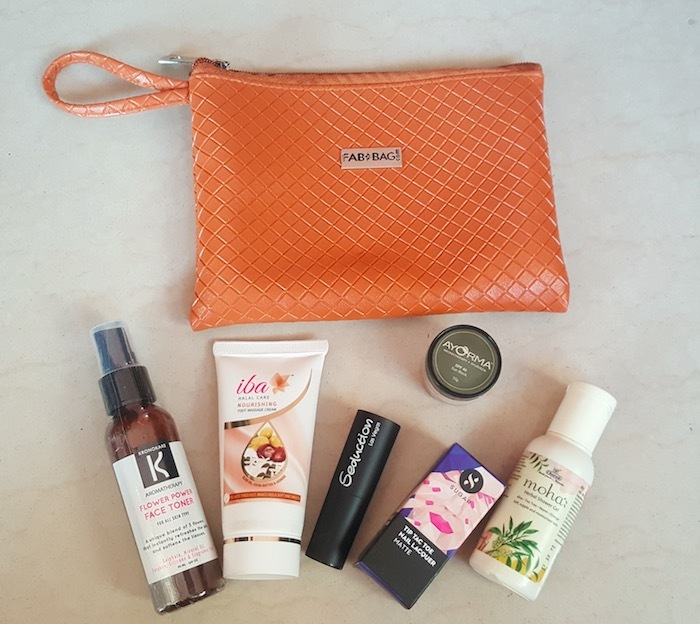 Overall I really liked March Fab Bag and found it a total value for money. 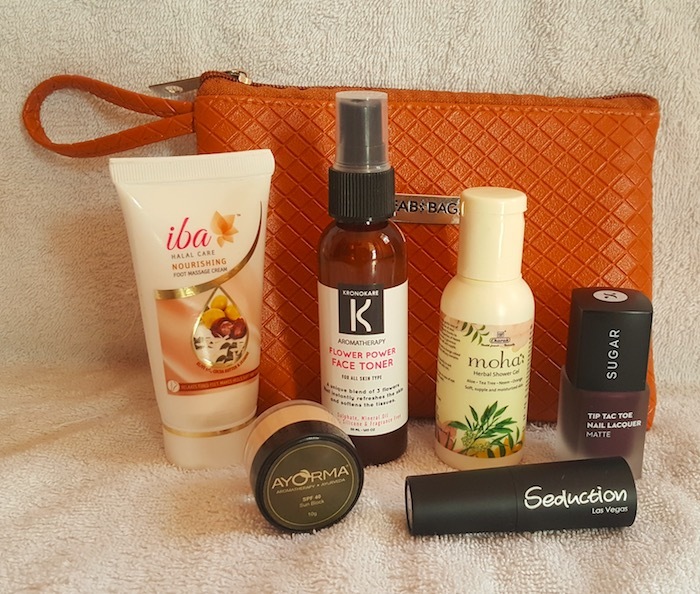 The product variation and product quantity are quite impressive in this month's Fab Bag. 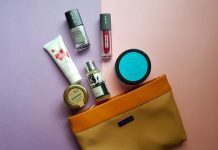 I'll definitely recommend March Fab Bag.